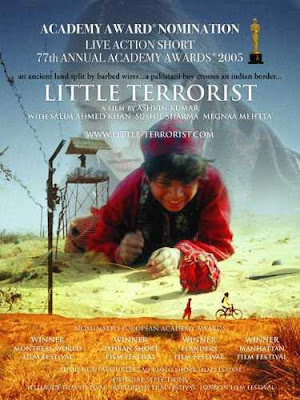 The movie revolves around Jamal, a 10-year-old Pakistani Muslim boy. While he was playing cricket near the Indo-Pak border with some of his friends, he crossed the Indian side of the border separated by a fence in search of the ball. He was then spotted by the Indian security forces and they chased him to the village. Jamal managed to hide himself in an Indian village where a school master, named Bhola, provided him shelter and food. However, Bhola's niece Rani was skeptical about allowing a Muslim boy in their home. But when the security forces came searching for Jamal they both protected him. Eventually, Jamal managed to return to Pakistan. Academy Award Nomination Indian Short Film.